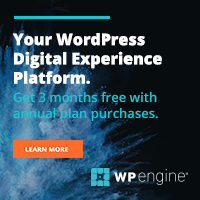 So, you have created your WordPress site on Google Cloud, it’s time to add domain to your Google Cloud account. In this post, I’ll show you how to register a domain name and add it to your Google Cloud account. When we are done, you can access your site by going to http://www.yourdomain.com. What if I told you there’s another free untapped source for your traffic — social traffic. And how you could increase social traffic through social media sharing. In this post, you’re going to learn 13 tips to increase your social media sharing. Scanning text is an extremely common behavior. It has become the norm. Long-form content has a higher risk of not getting read — without applying the scannable text. Often times, due to low readability score. In this post, you’re going to learn how to improve writing readability and get more people to read your content. A nameserver is a server owned by a web hosting providers that are tasked to manage domain names. Making sure you point your domain to the right nameservers will make your website accessible publicly. In this post, you'll learn how to update your Namecheap nameservers. With Black Friday coming, I received a ton of emails newsletter with good deals and promotions that are too good to be true. Some of you probably gonna miss those deals JUST because you don’t subscribe to the same newsletter I did. I am creating a list of all the best Black Friday deals for bloggers and I am going to share with you. 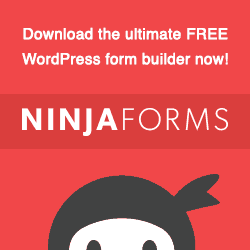 If you’re struggling with Contact Form 7 and looking for an alternative form builder, you’re in the right place. In this post, you’ll find out 7 beginner-friendly alternatives to Contact Form 7. They say men aren’t good at it. Your bosses want you to be good at it. And people think it’s necessary to survive in today’s world of business. Everyone talks a lot about multitasking, but is it really as good as it’s made out to be? Page load speed is an important Google ranking factor and the right cache plugin could make your site load blazing fast. 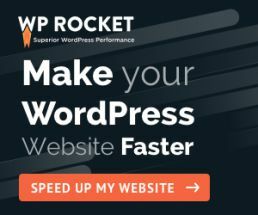 In this post, you’ll learn what caching is and I’ll show you the best caching plugin for WordPress you can download. Join our 5,000+ subscriber creative community newsletter and discover the latest web development, blogging resources, tips and deals.